On October 28, 2013, Judge Jan E. DuBois of the Eastern District Federal Court of Pennsylvania issued an opinion in the case of Wilson v. Great American Insurance Company, NO. 2:12-CV-5700 (E.D. Pa. Oct. 28, 2013 DuBois, J. ), on the issue of the commencement date for the statute of limitations in an underinsured motorist (UIM) benefits claim. The insurance company argued that the statute of limitations in a UIM case can be deemed to start to run when the underlying liability carrier tenders its limits. The insured Claimant countered that the commencement date should be when the third party release is signed. The Eastern District Federal Court held in Wilson that the date the release is signed is the commencement date for the statute of limitations to start to run. It has been repeatedly held in Pennsylvania that the statute of limitations in a UIM case is four (4) years. Commentary: This decision in the case of Wilson v. Great American Ins. 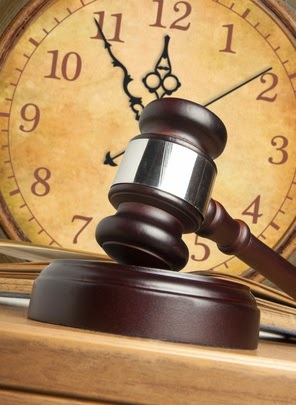 Co. is consistent with prior cases holding that the statute of limitations in a UIM case begins to run when the third party matter is settled or when a verdict is entered in the third party lawsuit. In Hopkins v. Erie Insurance Company, 65 A.3d 452 (Pa.Super. 2013 Gantman, Allen, and Ott, JJ. )(Opinion by Allen, J. )(Concurrence by Gantman, J. ), the Superior Court held that a UIM cause of action accrues when the third party case settled and not when the contract was allegedly breached when Erie denied the claim. In so ruling ,the Superior Court followed the reasoning of the united States Court of Appeals of the Third Circuit in State Farm v. Rosenthal, 484 F.3d 251 (3d Cir. 2007). Click this LINK to view the Hopkins decision. I send thanks to Attorney Paul Oven of the Moosic, PA law firm of Dougherty, Leventhal & Price and Scott Cooper of the Harrisburg, PA law firm of Schmidt Kramer for bringing this case to my attention.